Type the correct fruit value. Fun math quiz for all ages. Fun math test with pictures of drinks that have 3 unknowns. Find the missing number of the equations. Find the missing number chemical compounds. What is the sum of the flags in the last line of the equation. 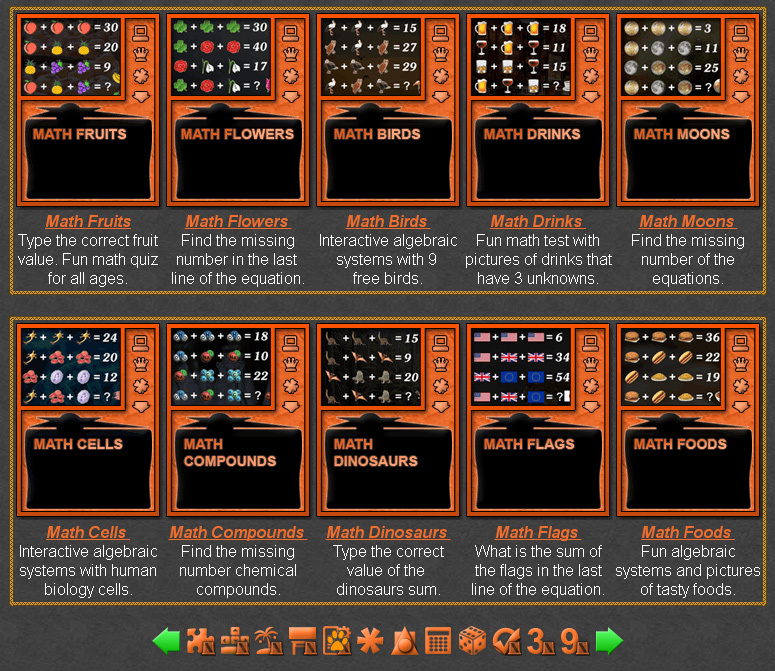 Fun algebraic systems and pictures of tasty foods. 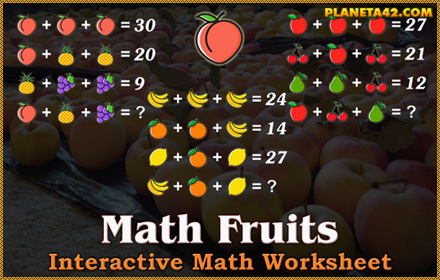 The math worksheets are small apps, up to 1 MB, with popular combinatorial algebraic systems with various types of objects to train and exercise math and logic. Images of combinational equations with 3 unknowns. Fun Math Worksheets Collection.